The Le Mans Series calendar hasn't been announced yet, but the Spa 1000 Kms will be held on August 17-18-19 next year - writes Joost Custers. Construction work means that there won't be any racing at Spa in the early part of the year, so logically the Spa 1000 Kms was likely to be in August or September: the eighth month it is, the Spa event having been in September, April and May in previous Le Mans Series calendars. The four other events have already been conformed as taking place at Monza, the Nurburgring and circuits in Spain and the UK. Spa-Francorchamps will host the 24 Hours in its regular last weekend of July slot. 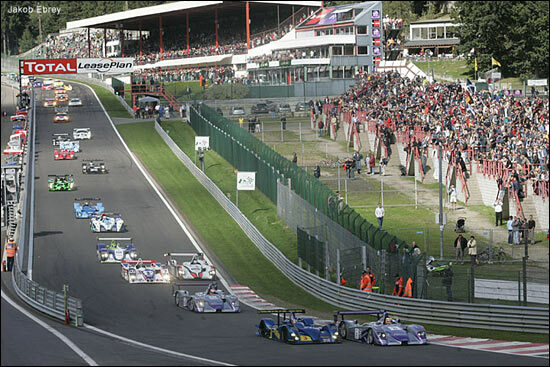 Here's the start of the 2004 Le Mans Series race.